This month is National Shake Month, and while it may bring to mind chocolate milkshakes (or the like), we want to give it a healthy spin. So, here are three recipes for Protein Shakes that are perfect companions for your next gym session. After all, healthy living is the best living…wouldn’t you agree? What Does Protein Powder Do? It helps to benefit you when you’re working out. Protein is the main structure to muscles, and if you’re working your muscles, giving them a helping hand with what you eat is always a good thing. Whey Protein is sometimes referenced as a “complete protein”. It supplies all the essential amino acids your body needs to make the most out of your trip to the gym. In fact, it has been used as far back as Hippocrates and the Ancient Greeks. How Much Protein Does It Provide? This protein powder packs 25 grams per a single scoop (equates 28g of powder)…pretty convenient, eh? Now, let’s get to the Protein Shakes you’ve been waiting for! 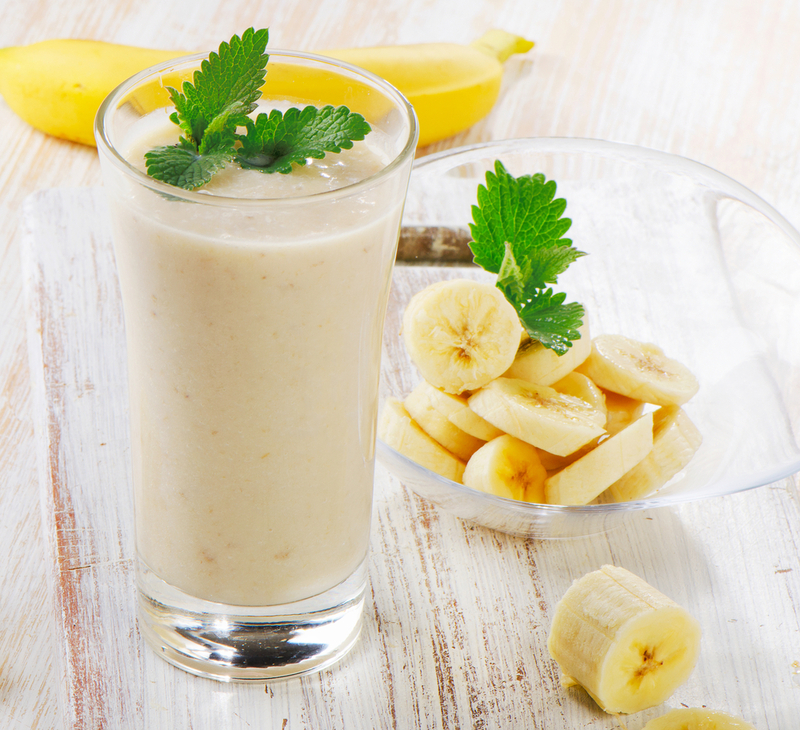 This shake lives and breathes the classic pairing of bananas with peanut butter. You’ll definitely love it. Especially if you want to play it safe. Blend all the ingredients together to form a smooth, creamy consistency. 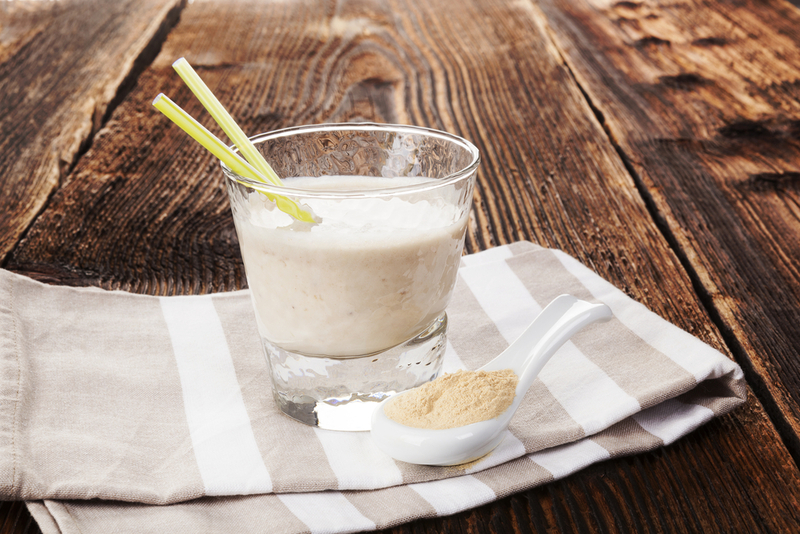 This is the perfect morning protein shake to kick-start your day. 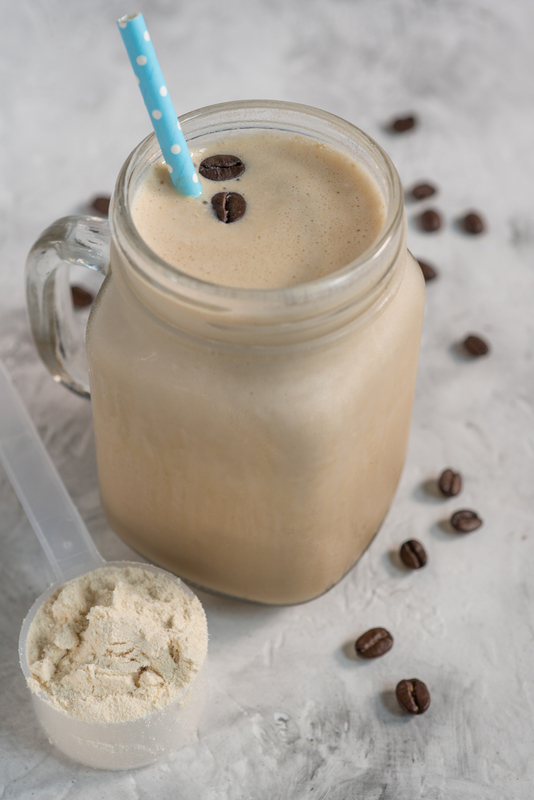 Instead of reaching for the regular cup of coffee, why not try this protein-packed coffee flavored shake instead? 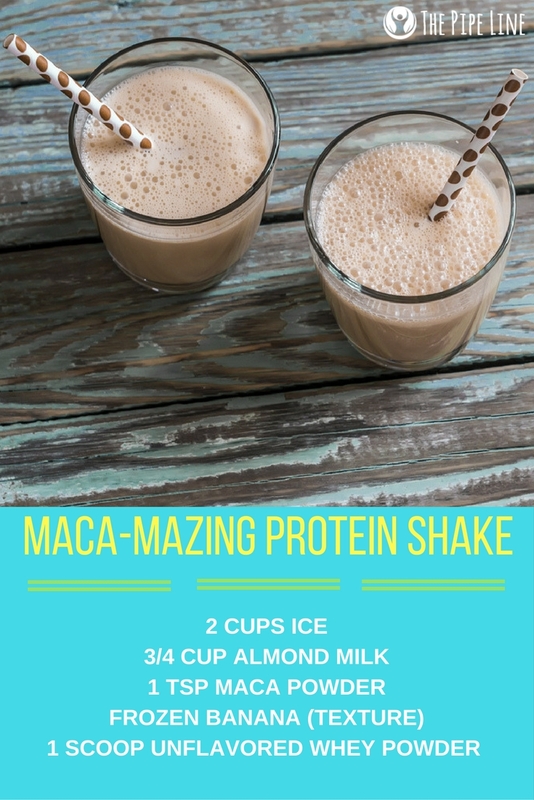 If you’re in the mood for a super-charged protein shake featuring maca (a source of vitamin B and C) we dare you to whip this recipe up straight away!